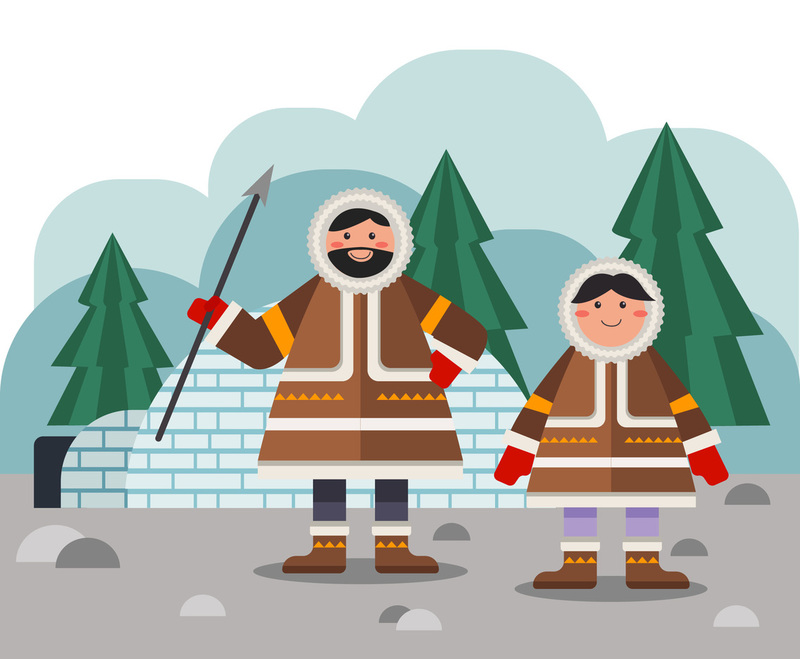 Cute vector illustration of Eskimos and their iglo. The characters in the illustration are Eskimo father and his son who's ready to go to hunt for food. You can use this as part of children book illustration about various culture and ethnicity in the world.